Anna Maria Denz lived with her husband, Oskar, and their daughter, Anna, in Lörrach, Germany. They were active in dangerous underground resistance efforts to smuggle Bible literature from Switzerland into Germany. They also smuggled reports of Nazi atrocities into Switzerland. On February 2, 1938, border guards discovered the hidden literature and arrested Oskar and Anna Maria. 14-year old Anna never saw her parents again. She was interrogated for four hours by the Gestapo, but gave away no names. With the help of the Witness underground, Anna escaped to Switzerland and survived the war. 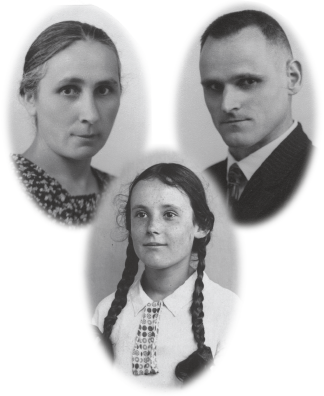 While in prison, Oskar and Anna Maria refused to sign a Declaration renouncing their faith. 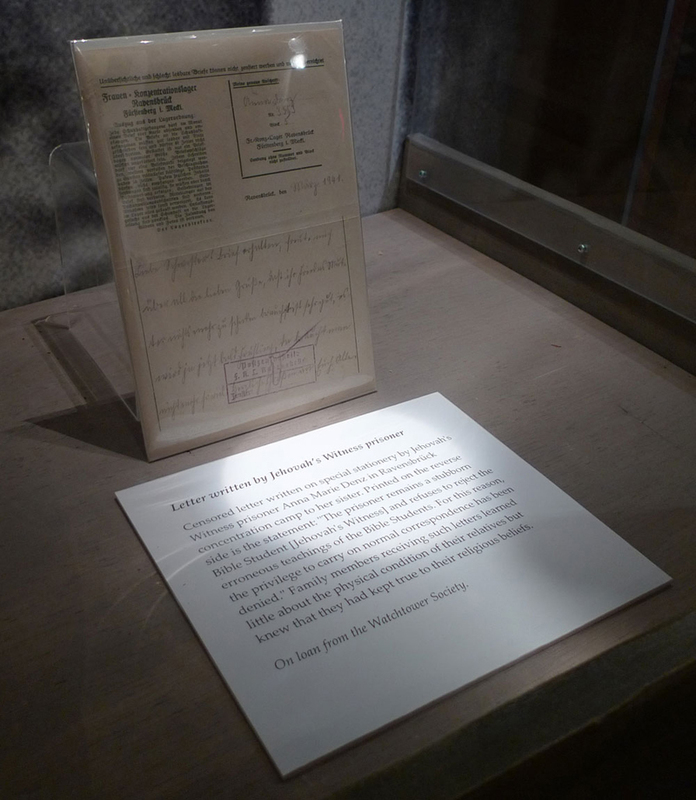 After finishing their sentences in April 1940, Oskar was sent to Dachau and Anna Maria to Ravensbrück. After refusing to do work for the military, Anna Maria was beaten and died in January 1942. Oskar was transferred from Dachau to Mauthausen where he died in July 1942 after being used for medical experiments. After more than 60 years, 42 letters written by Anna Maria and Oskar Denz were returned to Anna. A stranger found the letters in the bottom of a sewing box in the 1980's and learned about Anna from a local newspaper article in 2000. The letters contained their constant inquiries to Anna's aunt about her welfare. In 2004, the city council of Lörrach renamed a street Denzstraße (Denz Street) in honor of Anna's parents. The local newspaper, Badische Zeitung, explained under the headline "In Memory of the Murdered Couple Denz: New Street Name" that Oskar and Anna Maria "were murdered in a concentration camp during the Third Reich because of their faith." On permanent display at the Florida Holocaust Museum is an original Ravensbrück camp letter from Anna Maria Denz (dated March 1941) that bears the notorious SS imprint stating that the Jehovah's Witness prisoner had been denied regular mail privileges because she "remains a stubborn Bible Student." Their daughter, Anna Denz Turpin, lives in Kentucky with her husband.